Our Outreach project is a good opportunity to offer a real helping hand to the community. We meet at the clocktower just before 1 to offload the van and set up the soup kitchen. 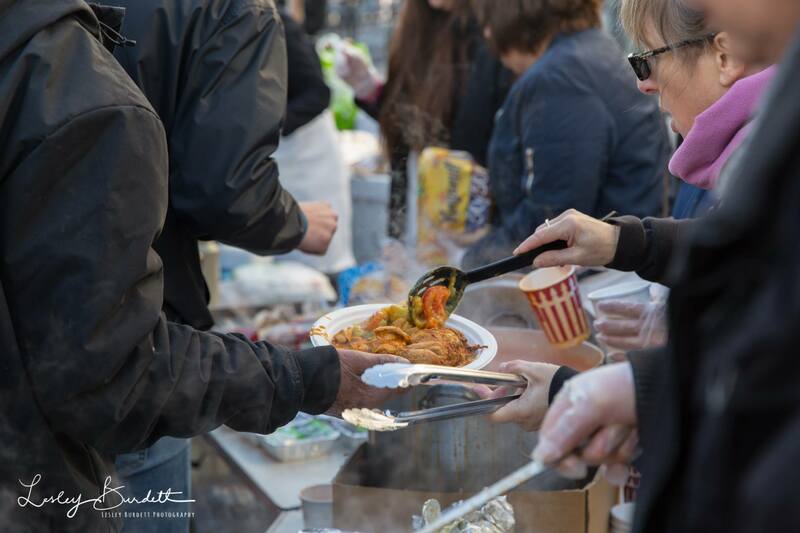 Hot food, tea and coffee are available to anyone in need of a warm drink or a nourishing meal. We also take this opportunity to distribute donations of warm clothes and toiletries. Please note, we do not take donations of hot food. We will take donations of cakes, snacks and fruit, but ask that ingredients are listed due to allergies. The vets and veterinary nurses from the charity StreetVet, attend every week, delivering free care to the homeless and their pets. For further information on StreetVet, go to their website.